What better way to thank your hen party guests than with this cute Personalised Hen Party Favour Kit? 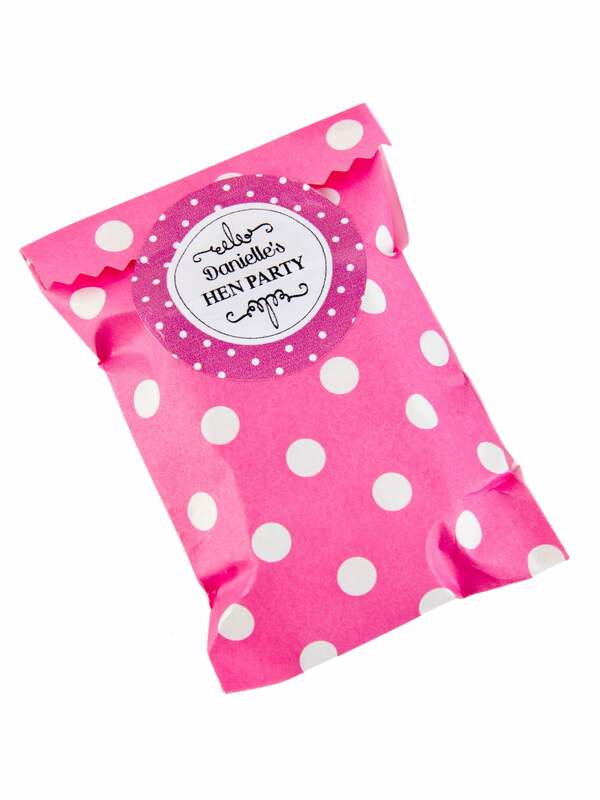 Give each of your friends a Mini Dot Bag With Label to say thank you at your next hen do, wedding or birthday party! These pretty pink and white polka dot paper bags are filled with three packets of everyone's favourite Love Heart sweets. And, for a personal touch, you can personalise the round sticker on the front to your liking. Think it's a little pricey for 3 tiny tubes of sweets in a paper bag however the finished package utilising the personalised sticker is lovely.